Email offers us a personal, yet scalable and effective way to connect with our audience members. Because you can only send emails to people who signed up to get them, you’re sending your content to people who actually want it. And that means better open and clickthrough rates, and a more engaged audience. But even with all the benefits email marketing can bring, it isn’t always easy. Most members of your target audience probably open an inbox flooded with promotional content every morning. 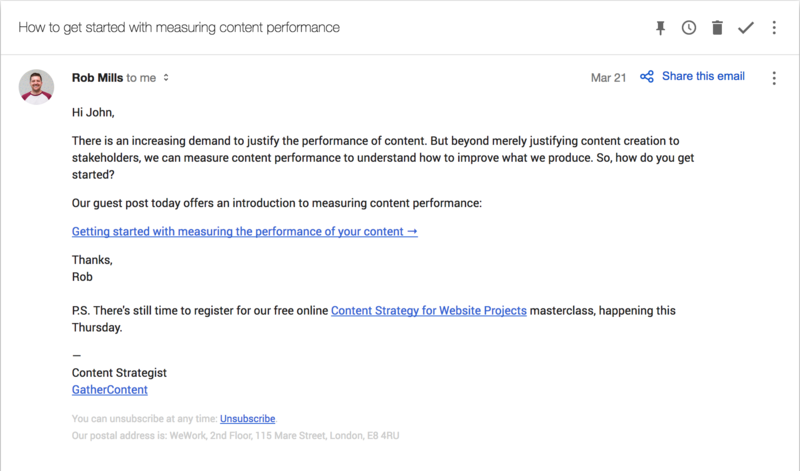 If your subject line and content don’t stand out from the crowd, you could be ignored. 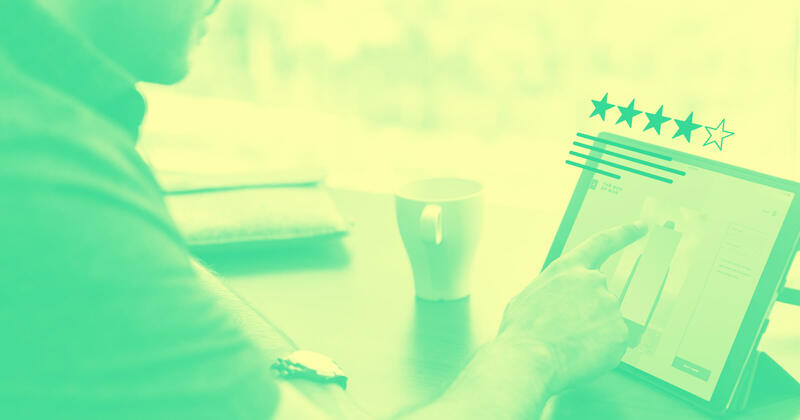 But with these 8 email marketing best practices, you won’t be. The five-second test assumes that your audience will look at your content for just 5 measly seconds. If they can’t figure out what the email’s about within those five seconds, you’ve lost the customer — and the sale. Before sending your email to your list, send it to a friend, family member, and/or coworker. Ask them to give it just five seconds, then report back to you. If they caught the purpose of the email, go ahead and hit Send. If they didn’t, it’s time for a rewrite and/or redesign. 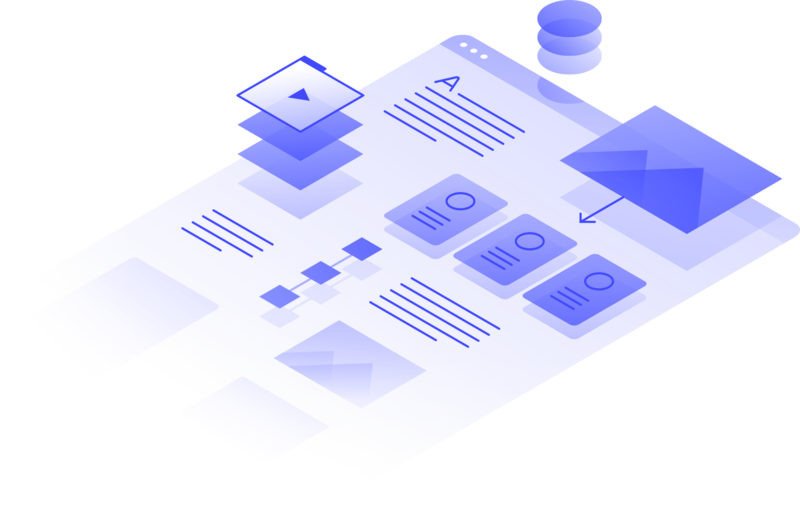 Making your emails responsive requires more than code — content and design may need to be simplified to keep things accessible on any device. 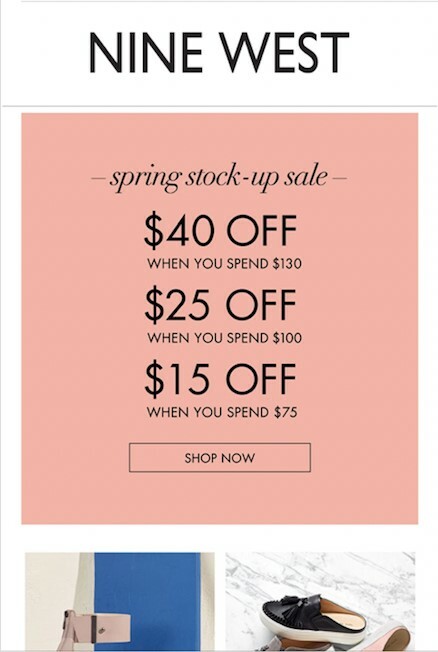 Because many people check their email on a mobile device, you want to ensure your content’s legible on any device, like this email from Nine West. Getting too fancy with formatting or code can make it difficult to read emails on smaller screens. Using a responsive template can ensure your emails are mobile-friendly. Before sending your email to your entire list, send a test email to a few coworkers and/or and check it on various screens. See how it looks on your cellphone, tablet, and any other devices you have handy. And if something looks funky, adjust. Many email marketing tools now offer device-specific previews, which are handy, but it’s still worth testing your emails on actual devices when you can. When a customer gets an email, they typically only see two things — the name of the sender and the subject line. If they don’t automatically connect with the sender, the subject line becomes the deciding factor in whether or not they open the email. If you’re not writing engaging subject lines, your email could be doomed for the trash — or worse yet, a spam report. There are many different tactics for creating an interesting subject line, from including a can’t-miss promotion to an emoji to a clever pun. Play around with different kinds of subject lines, and see which get the best open rates by running an A/B or multivariate test. When you're testing, don't discount simple, straightforward, and descriptive options. MailChimp has found that subject lines that tell often do better than those that sell. 4. Place the call to action above the "fold"
Many people get dozens or even hundreds of marketing emails flooding their inbox every day. With that mass of messages to wade through, you need to catch your audience’s eyes, and ensure they see what you want them to do — fast. Keeping the call to action “above the fold” — i.e., immediately apparent on open — helps ensure they get your message, even if they don’t take the time to read your entire email. Make sure your email's offer is immediately apparent when people open it. Too many companies put the call to action at the bottom of the email, assuming their audience will read each piece of content they send. Unfortunately, most emails are read on the go or in a hurry. If an email recipient can’t automatically determine what you’re trying to accomplish with the email, they’ll move on to the next one. 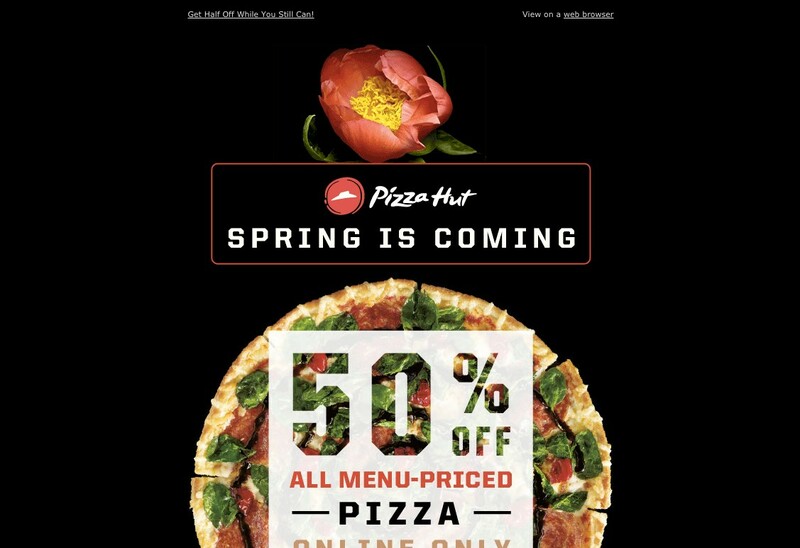 Pizza Hut’s email marketing team does a great job of making it clear what they’re offering without you needing to scroll. Keep in mind that responsive emails add an extra wrinkle to this — ensuring your call to action appears near the top of every email, on every device, can be tough. But it’s doable, and well worth the effort. It can be all too easy to think an email is “just” for achieving the specific goal embodied in its call to action. But in reality, email can be a great tool for encouraging engagement with your content, website, or app. So use your email marketing content as a lure to bring your audience to your website. Whether you’re promoting a blog post or a special deal, you ultimately want your audience to move from their email app to your website. If you don’t include links for further reading, you’re missing a huge opportunity. 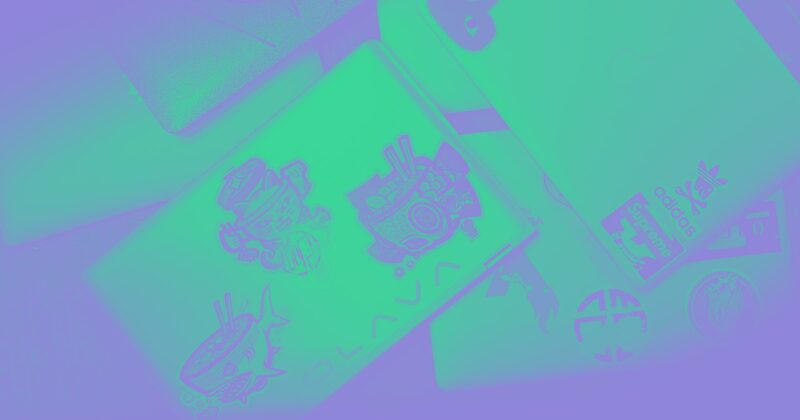 ‍All you need to know about what you want to read more of is right there in that link. One of the best ways to lead your email audience to your website is through links to more information. GatherContent’s Rob Mills does a great job of introducing an interesting topic, then encouraging you to head to the website to learn more. If you’re not sure why you’re sending an email, your recipient won’t be either. If they’re not sure exactly what you want them to do after reading your email, they probably won’t do anything. Other than unsubscribe, that is. In each email you send, make sure it’s clear what action you want the reader to take — and that there’s really only one option. Whether it is to check out a sale, click a link to read a post, or sign up to participate in a webinar, be sure your call to action is well-defined and easy to locate. Using an email marketing automation tool may seem impersonal, but there are actually many different ways you can individualize an email blast. Tailoring your email marketing to fit the needs of the recipient can bring you even better results. The more personal you can make your emails, the better. 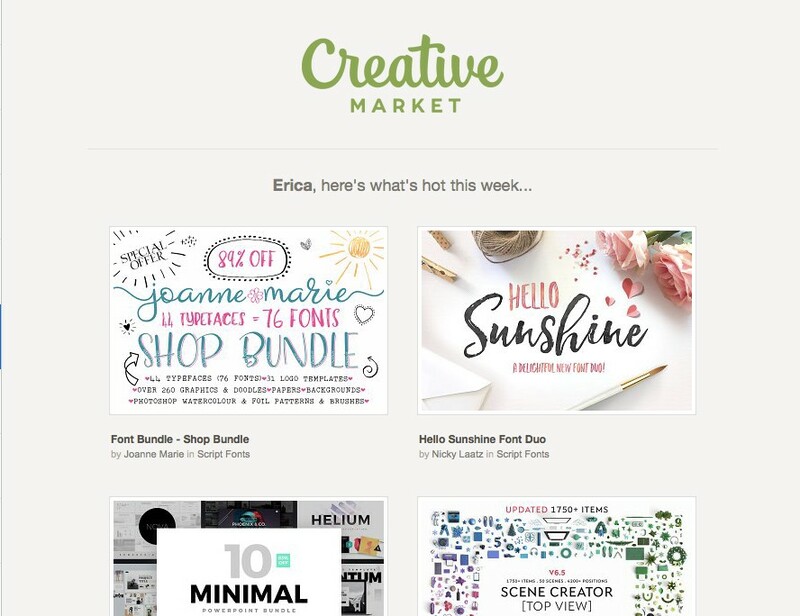 Creative Market does a great job of using the recipient’s name to attract their attention and introduce the content of the email. Do what you can to make each audience member feel special and they may become more likely to act. In the end, the most important thing you can do with your email marketing campaign is provide value. With all the emails we get each day, the last thing you want to do is add to the junk filling up their inbox. If you’re only sending emails for the sake of getting in touch, you’re probably going to have a high unsubscribe rate. Always look for new ways you can bring value to your audience. Whether it’s through exclusive deals to your email subscribers or providing insights they can’t get anywhere else, give your audience a reason to sign up. When you bring value to your email list, more and more people will sign up. Email marketing doesn’t need to be scary. If you’re looking to create an email marketing strategy for your business, keep these eight best practices in mind. As with all forms of marketing, be sure you’re listening to the unique needs of your audience and giving them content they’re actually looking for.